Tara was the name of the seat of the High Kings of Ireland until the eleventh century and the place where St Patrick introduced to the kings the concept of the Holy Trinity. The story of Tara is at the center of Irish mythology! 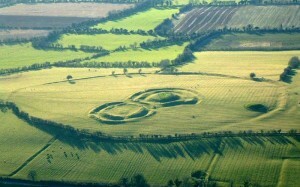 This sacred hill (from ancient Irish “Teamhair na Ri,” Hill of the Kings”) whose origins are traced back to the Neolithic age, is situated 40km North of Dublin in County Meath. 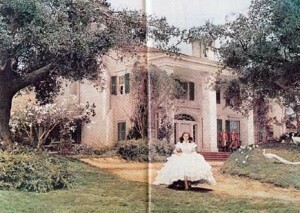 When Margate Mitchell wrote ‘Gone with the Wind’ and imagined Scarlett O’Hara’s house in Georgia, she drew her inspiration from her great-grandparent’s estate, Fitzgerald House, an hour away from Atlanta. She called the O’Hara’s home Tara because of course, of their Irish origins. Throughout the whole novel and until the end Scarlett draws her strength and courage from her love of Tara, the beautiful red-earthed plantation she loves passionately. “The earth is the only thing that lasts”. 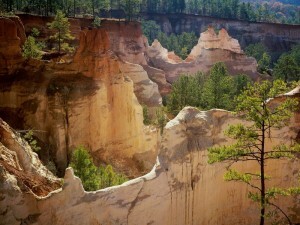 The landscapes of Georgia, USA resemble greatly those of Roussillon. Domaine de Tara takes its name from the famous novel and is a tribute to her love of that earth.